Happy National Nacho day peeps! (Wait. Is it National Nacho day or National Nachos day? I’ve seen it both ways all over twitter and have spent some time questioning which is grammatically correct to no avail. But I digress…). 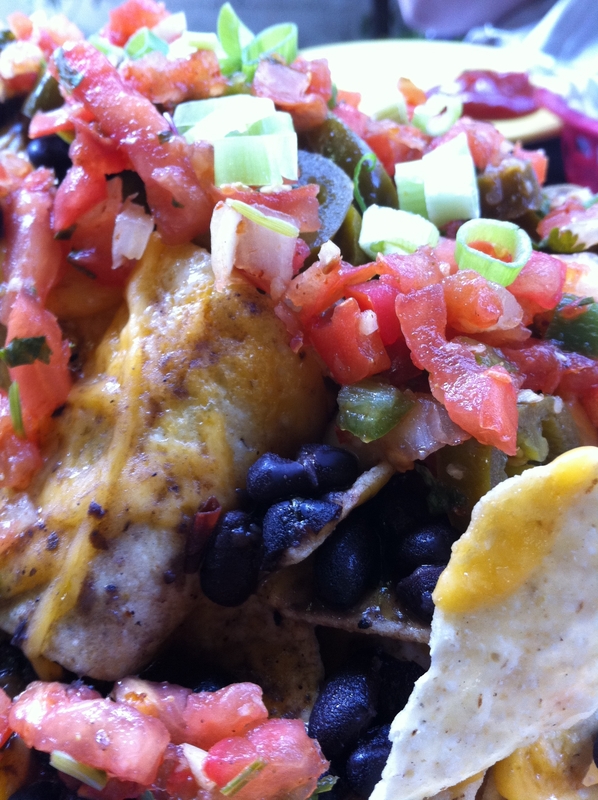 Did you get your nacho on today? In honor of this wonderful occasion, I decided to write up something a little different today for your reading pleasure. It’s really easy to be a critic – to sit back and critique what someone else has done – so this time I put myself to the nacho test. That’s right. I whipped up my own batch of nachos at home and will now share with you both the positives and negatives of that experience. I learned a few things, and am anxious to try again soon with the wisdom of experience in my pocket. On one hand, I have a new respect for restaurants who make nachos because sheesh, it isn’t really all that easy to get them just right. But on the other hand, I feel even more qualified to maintain a high standard with my reviews. I believe that with just a few tweaks, my nachomission test kitchen nachos would be every bit as good as anything I’ve had in a restaurant. First, I had to decide on the ingredients. 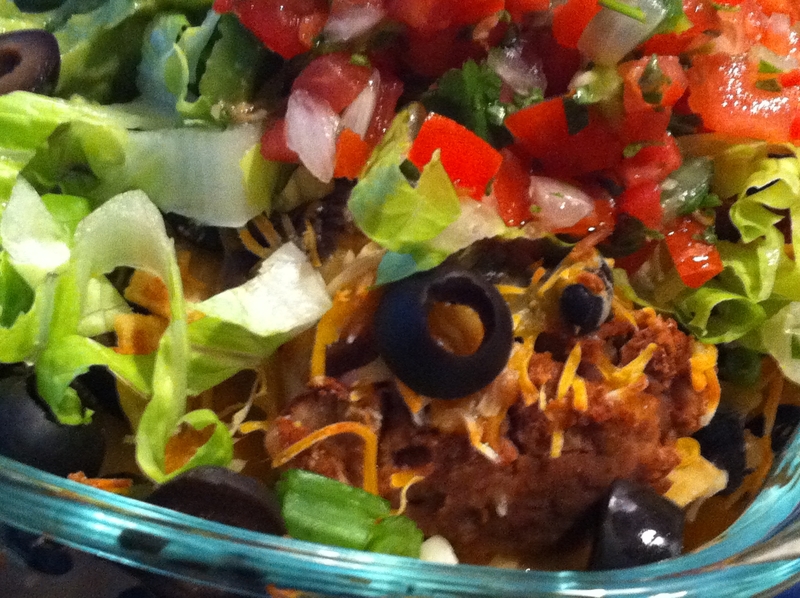 A no brainer given that I have clear preferences for my nacho basics and toppings. I chose: extra thick chips (you need a good solid chip that won’t give under the weight of the beans and cheese), refried pinto beans, whole black beans (as a vegetarian, I picked two proteins. Why not? Most nachos with meat also include beans so there is nothing to stop me from getting my double protein on), shredded cheddar cheese, pico de gallo, guacamole, sour cream, green onions (of course), black olives (of course, again) and shredded lettuce (a somewhat rare but awesome nacho topping that provides the perfect combination of coolness and crunch). First, I assembled the chips, beans (both kinds) and cheese in an oven-safe dish. 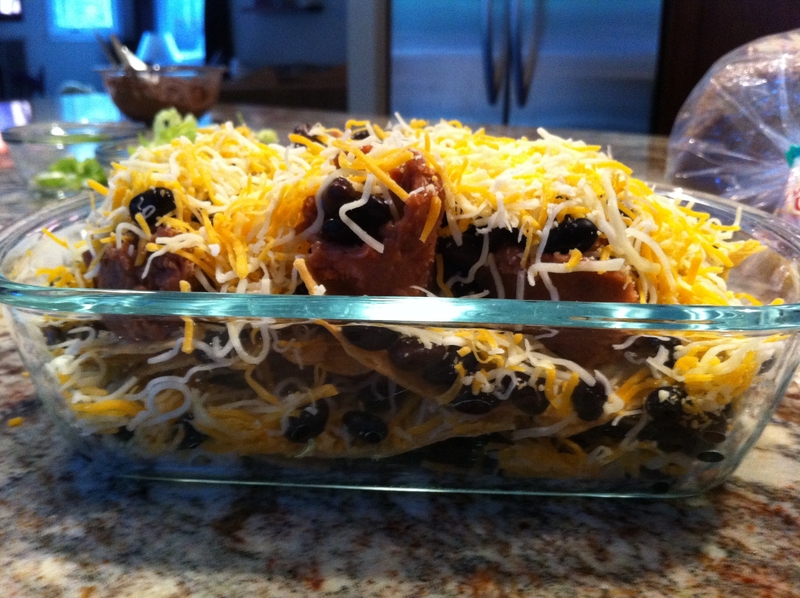 Layer chips, beans, cheese. Repeat. Repeat again. It’s so important to integrate the beans and cheese throughout the chips so every bite contains tasty goodness. There is nothing worse than a sad, dry, empty chip. After baking for about 15 minutes, the cheese was bubbling and the beans were sizzling. I was so excited to now pile on the nacho toppings. First, I sprinkled on the green onions. They are most tasty when just slightly warm and they settled nicely into the piles of melted cheese. Next, I scattered the sliced black olives, also better when a little warm. Next in line was the shredded lettuce. And finally, the topping trifecta – pico de gallo, guacamole and sour cream. I positioned them in an almost triangular fashion with generous scoops of each oozing into one another. And……Voila! Now, regarding the things I learned and would do differently next time, do you see the problem with this picture? I used a rather deep dish pyrex dish and the edges were so high, that I had a hard time getting at the chips. Note to self has been taken – use a dish with low sides next time. But don’t you fret, my nacho readers, it would take a lot more than high dish sides to keep me from diving into these nachos head first. And, if I do say so myself, they were super tasty! The flavors blended nicely and I was really pleased with the combination of both refried pinto and whole black beans in the same bite. The toppings were all incredible and the pico de gallo provided quite a spice punch. I didn’t second guess my decision to omit jalapenos for a second. I’m about as happy as I can get when I have a mouthful of nachos covered in green onions, black olives, guacamole and pico de gallo. A couple of additional learnings – somehow I used cheese that wasn’t full fat and that was all kinds of wrong. You need full fat, stringy, gooey, greasy cheese for nacho perfection. Believe you me, I won’t make that mistake again. In addition, the top layer of refried pinto beans got a little dry while in the oven. The piles underneath were more moist and the proper consistency but the top layer had problems. Perhaps they need to be in the bottom layers only? Or, they need to be covered in that gooey cheese to stay moist. I’ll be making some modifications in this area on my next attempt. Well, there you go, my friends. Considering it was my first homemade attempt – not bad! Could they be improved? Absolutely. But did my nacho loving co-eaters and I devour every last one of them? You better believe it. Stay tuned for Nachomission test kitchen’s second attempt at some point in the not so distant future. And again, Happy National Nacho(s) day. 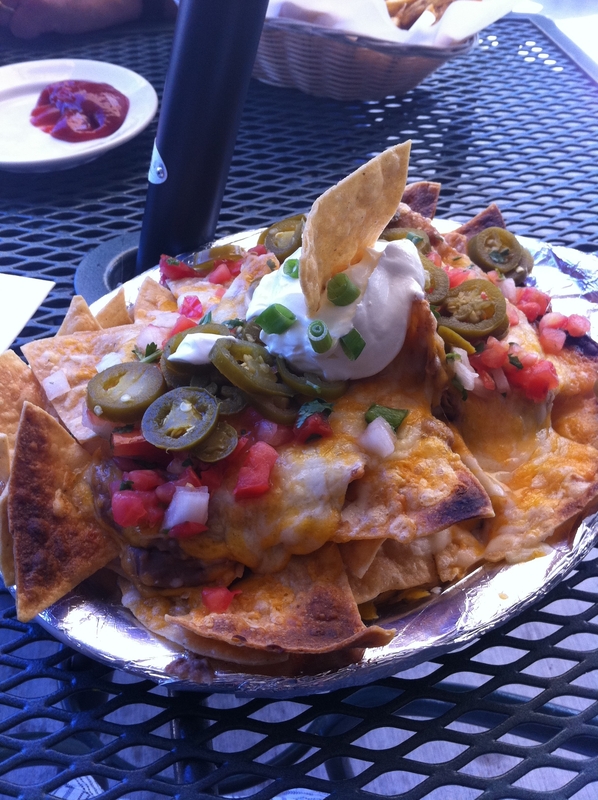 I never need an excuse to eat nachos but if you do, you have the perfect one today. Enjoy! 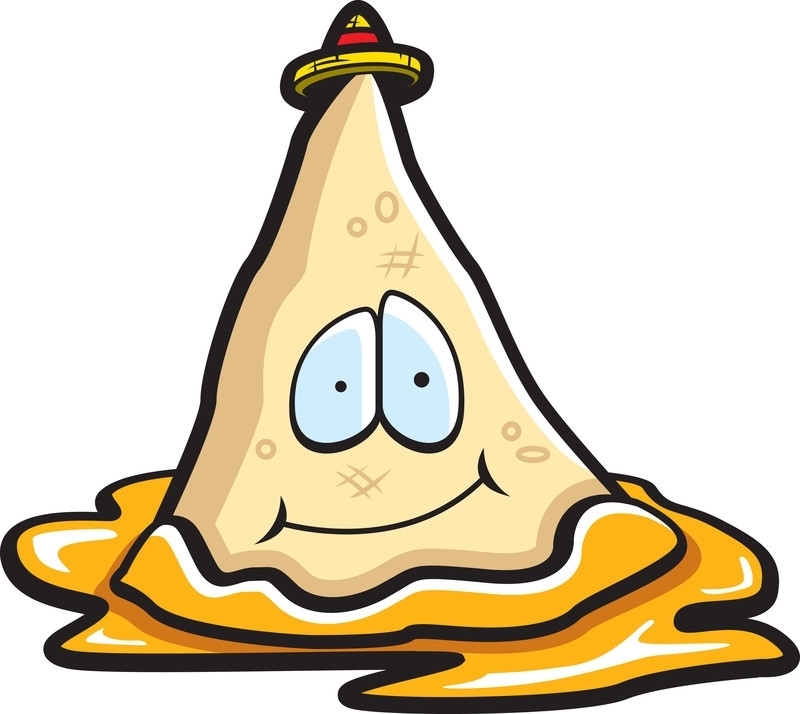 And if you find an especially tasty nacho spot, don’t keep it all to yourself. Let me in on it! My nacho friends, you are witnessing history. This is my first ever “Take 2” review. A “re-review”, if you will. And in summary, let me say: Yay! You go, Tied House! Some of you may remember my first review of Tied House nachos. Although they were full of promise, they didn’t quite measure up. 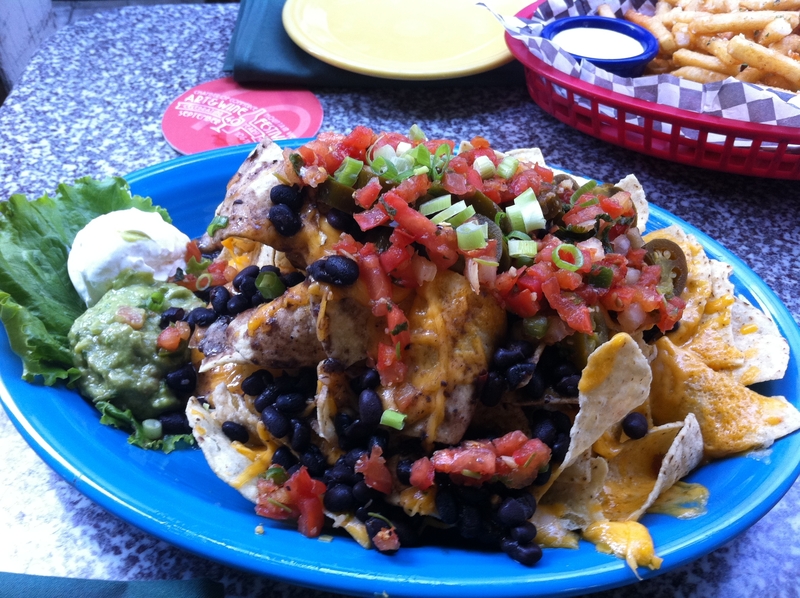 I previously took issue with the fact that Tied House nacho toppings were literally that – some tastiness sitting on top of the chips, but not interlaced well enough within and throughout the pile. Yesterday I found myself at Tied House’s happy hour once again. And am I ever glad I gave their nachos a second chance! Now I don’t know if it was just coincidental that I had a much better plate of nachos served to me this time or whether they have made some nacho building policy changes. And I don’t care. I was just glad I was there to enjoy them. Tied House nachos, Take 2! First of all, the chips seemed fresher. They were still the store bought type, but they didn’t have that stale-ish crunch that I encountered last time. And more importantly, there were layers and layers and layers of melted stringy cheese and yummy beans through and through this piled up nacho assemblage. All of the other tasty parts that I enjoyed last time were still present. The guacamole was once again good as was the salsa fresca. And you know, even the cheese seemed more flavorful this time but perhaps I was so overjoyed with the layered experience that I transferred this positive bias onto the cheese. I don’t know and again, I don’t care. I was up to my elbows in scrumptious nachos and loving every minute of it. And I may have mentioned it last time, but I feel the need to give props once again to the half priced nachos at happy hour. I don’t find this to be all that common. 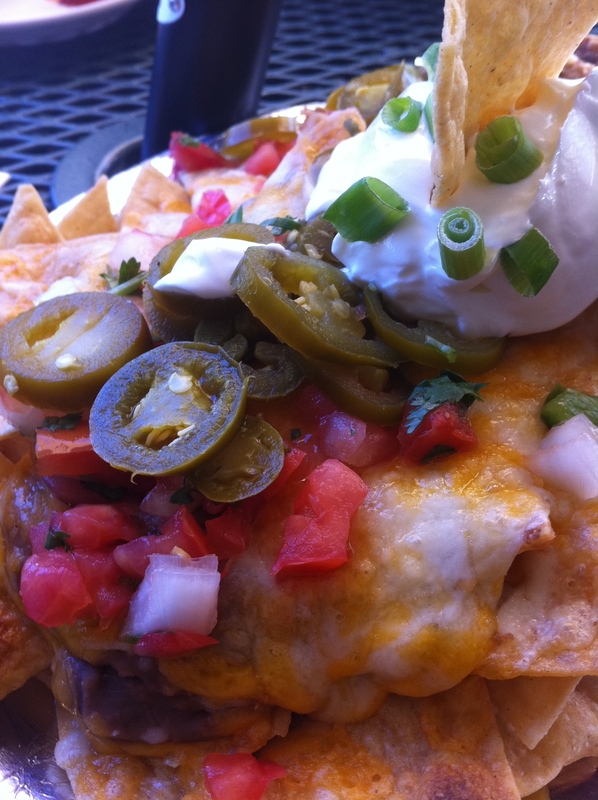 And at Tied House, they will serve you a huge, full order of nachos for only about $5. I’m thrilled to report that I can now happily recommend Tied House to anyone in the Mountain View area wanting to get their nacho on. This time around, I’m giving them 4 out of 5 smiling nachos. 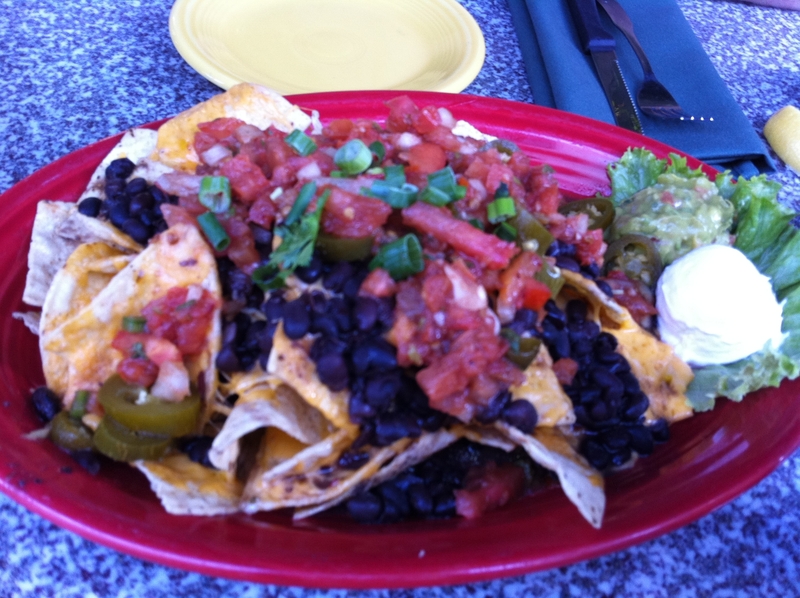 Thanks for the yummy nacho goodness, Tied House! Before I dive in to the details, let me sum up my overall nacho experience at Tied House in one word: “Meh”. Were they great? No. Were they terrible? No. Some parts were good, and some parts could have been better. The experience started out well, but unfortunately, it then took a gradual slide down a negative slope. The menu description sounded great: “Smothered with house made black beans, melted cheddar & pepper jack, jalapenos, & Cascade Amber beer salsa; sour cream & house made guacamole”. I didn’t know what a Cascade Amber beer salsa was, but I was certainly game to find out. I always love seeing the term “house made” and viewing it twice in one description was double the pleasure. I was in. thrills me. I saw chopped tomatoes and fresh green onions. And, always there to spice things up, there were pickled jalapenos. I should point out that the (beautiful) plate of nachos pictured above is a full order ($10.25). They also offer a half order ($7.15). I was there for during happy hour when the nachos were half priced so why on earth would I select the half order? I wouldn’t. It would have been absurdity. Brace yourself, faithful reader, because now we come to the point in our story where that gradual downhill slide starts. I grabbed a chip covered in topping, anxious to taste all the goodness. The first thing that deflated my hopefulness on the taste was the fact that the chips were *clearly* not house made. House made salsa, yes. House made guacamole, sure. The chips? Not so much. They were industrial chips. (And I can almost hear your collective gasp). I imagined a super-sized bag in the Tied House kitchen from a warehouse store. I don’t want to come right out and say they were stale, because that may be a slightly unfair statement. But I will say they were teetering on the brink of being past their prime. The positives for the overall taste factor came from the guacamole, the cheeses and the green onions. Yay! You go, green onions! You never disappoint. The salsa was pretty good, and had a flavor I couldn’t place which must have been the Cascade Amber. But the flavor of the nachos as a whole was very mild. Maybe a little too mild. There was no flavor kick whatsoever. Don’t get me wrong, I’m not opposed to mellow nacho flavor, as long as it is interesting. These were a whole lot of mellow with only a small dash of interesting. And here is my other major complaint about these nachos – they take the word “topping” too literally. The tomatoes, green onions, and even the beans to some extent, were on the top layer and the top layer only. As I continued to dive in, I was soon left with only a stal…. ahem. past their prime, dry, pile of chips. Not good. Not good at all. I’m sympathetic to the fact that it’s tricky business to get the right amount of toppings intertwined throughout the nacho tower. But Tied House could use some improvement on this front. So, once again, I’m left with a nacho experience that left me less than thrilled. It wasn’t bad, but it just wasn’t quite good enough either. There is potential there and there were certainly some good elements. I’m optimistic that with a few tweaks, Tied House could serve me a winning plate of nachos in the future. All things considered, I give them 3 out of 5 smiling nachos. As luck would have it, I recently found myself in the east bay with a couple of hours to kill and a hankering for nachos. Ok, let’s face it, when do I *not* have a hankering for nachos? After finding a menu online with an enticing nacho description (they had me at pico de gallo! ), I decided to give The Hopyard a try. And boy, am I glad I did! The place wasn’t much to look at but I’m no atmosphere snob. Alright, maybe I am a little, but I decided to power on and place a nacho order. I sat at a table outside to bask in the lovely bay area weather. This would have been very enjoyable were it not for the flies pestering me the entire time. What is it?? My shampoo? My hand lotion? Exactly WHY are you flying around me nonstop at an uncomfortably close distance? But I digress. The server was friendly and took my ever hopeful nacho order. Delivered to my table in just a short period of time was an amazing looking plate of nachos. Behold! Don’t they look delicious?? There were generous globs of refried beans, lots of gooey stringy melted cheese and pickled jalapenos. There was a nice size scoop of sour cream sitting atop of it all like the crown jewel that it is. The salsa fresca / pico de gallo was wonderful – fresh chopped tomatoes and onions with cilantro. Ok, wait. This picture doesn’t quite do them justice. I was worried about this possibility so luckily I snapped a close-up just in case. And no, your eyes don’t deceive you. Those are fresh green onions sprinkled around like a culinary version of fairydust. They somehow just make everything better and all seem right in my nacho world. Let me tell you, my friends, the taste measured up! I’ve seen some good looking nachos before that teased and enticed me only to ultimately disappoint me in the taste department. Not these. 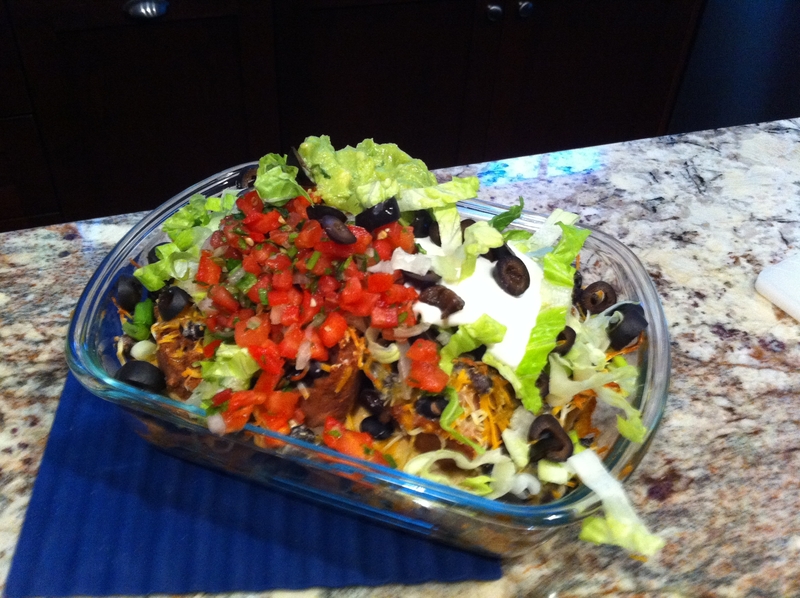 These nachos were yummy, delicious, flavorful, and dare I say scrumptious. Now, I wouldn’t be the nacho reviewer that you know and love unless I offered The Hopyard at least a couple of areas for improvement. So here goes: It was pretty obvious the whole plate had been in the oven and this left the chip edges a little burnt. I thought this would add some additional complexity to the flavor and with certain bites it did. But with other bites, not so much. They just tasted, well, burnt. And let me now share with you this little story. Brace yourselves because I am sure you will be as appalled as I was. A fellow diner at the table next to mine noticed my impressive nachos and when her server arrived (a different server than mine, mind you) she ordered them as well. To which her server responds: “Would you like a side of guacamole with those? Our guacamole is really great but it doesn’t come with the nachos”. WHAT? I did a double-take like a Looney Tunes character. What just happened? How could my server have not made me the same offer? I would have been all over that guacamole side order. Do they have *any* idea who I am? Do they *know* what influence I possess in the nacho reviewing world? Apparently not. But, in the end, I forgive them. Because these nachos were tasty with a capital T. I give them 4 out of 5 smiling nachos. Now, had they brought me some amazing guacamole on the side? Who knows what might have happened. They may have just earned my first ever 5 smiling nachos rating. But, alas, it was not meant to be.